Bright Single level Large 5 Bedroom 3 Bath home with old world charm and many upgrades in the best part of Cupertino bordering Los Altos! 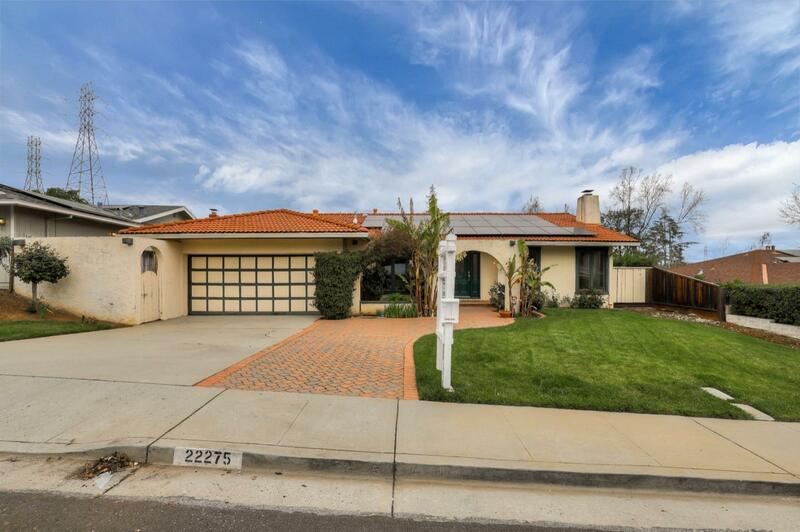 2789 sf Home with two Master Suites on a large 9315 sf lot in a quiet neighborhood. Formal Living, Formal Dining and Family Room. Granite Kitchen Countertop, New SS Appliances, Skylights, Double Pane Windows, Tankless Hot Water Heater, Owned Solar for low energy cost, Electric car charger in the garage and Pool. Washer, Dryer and Refrigerator included. Top Cupertino schools (Stevens Creek Elementary, Kennedy Junior and Monta Vista High). Easy access to 280 and all major employers. All inspection reports and disclosures available. Priced to Sell!! Open House Sat and Sun 1-4.